Dave is a partner with Cades Schutte LLP. He is the Chair of the Corporate Department, as well as the Chair of the Employment Law and Labor Relations Practice Group and the Corporate and Business Law Practice Group. With a client base that includes hotel owners, hotel managers and interval ownership programs, a large professional employer organization, regional healthcare organizations, national restaurant chains and local restaurants, construction companies and contractors, a cogeneration facility, national and local retailers, technology product and service providers, venture capital firms, and investment advisors, Dave is one of the most sought after attorneys in the state of Hawaii. 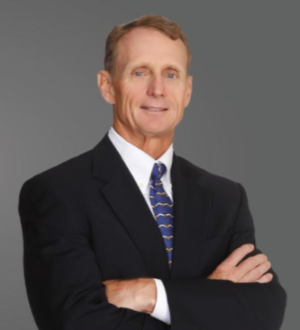 His corporate practice includes mergers and acquisitions, corporate finance, and securities law compliance, while his employment law practice focuses on counseling clients in matters related to strategic planning, legal compliance, labor and employment issues in M&A transactions, reductions in force, and assisting clients with drafting employment-related agreements, manuals, policies and procedures. Dave has an AV Preeminent Rating in Martindale-Hubbell Peer Review Ratings, for the highest legal ability and ethical standards, and has been selected by his peers to be included in Best Lawyers in America since 2002. He has been listed in Honolulu Magazine’s “Best Lawyers in Hawaii” for over 15 years, and has been featured in Chambers USA, “America’s Leading Business Lawyers” in the state of Hawaii since 2003. A contributing editor for the ABA’s FLSA and FMLA treatises and annual updates, Dave is an author for BNA’s Treatise on State Wage and Hour Laws, and a regular speaker on labor and employment matters at many local and national seminars. Corporate counsel representing Norwegian Cruise Lines, in connection with the sale of Polynesian Adventure Tours (Hawaii based land transportation/tour company) to Travel Charter Services, Inc.
Nan, Inc. v. Department of Transportation, PDH 2015-06. The DCCA Hearings Officer found in favor of the DOT and Intervenor, Hawaiian Dredging, and denied Nan, Inc.’s protest of the award of the $347 million Maui Airport Contract award to Hawaiian Dredging. The Hearings Officer also concluded that Nan, Inc.’s lower bid was not acceptable in that it was front-end loaded and unbalanced. Picardy v. Sky River Management, LLC, Pierre and Pamela Omidyar, et al., 249 P.3d 1092 (Haw. App. 2013). Hawaii Intermediate Court of Appeals affirmed Circuit Court Order staying proceedings and compelling arbitration pursuant to the terms of employment arbitration agreement. SCI Management Corp. v. Sims, 101 Hawaii 438, 71 P.3d 389 (2003). The Hawaii Supreme Court held the employer was improperly denied its constitutional right to a jury trial. The Court held that an employer who appeals a final order of the Hawaii Civil Rights Commission pursuant to HRS § 368-16, is entitled to a jury trial on any claims that form the basis of an award of common law damages. Okada Trucking v. Board of Water Supply, 97 Hawaii 450, 40 P.3d 703 (2002). The Hawaii Supreme Court held that general contractors were not permitted to perform any work that required a specialty license unless the general contractor itself held the appropriate specialty license.